The musical celebration of Avacar Bluestar's life today was a huge success. Well over 100 of you came in a three -hour period and donated over L $60,000 Linden which will be given to the American Heart Association in Avacar's name. If anyone who could not come to today's event would still like to donate some Lindens in Avacar's name, you can pay Eddi Haskell's account in Second Life through the end of the day Sunday and it will be counted and contributed. DJ Thorn Andel and Hose Esme Capelo of SL Live Radio for the musical session. Jessicanne Wrigglesworth for producing the machinima about the event. Evan and Izzy Greymyst at Greymyst Estates for making the wonderful space of the rose garden available for the event. Parvin and the Board of the Gay Archipelago for helping with publicity. 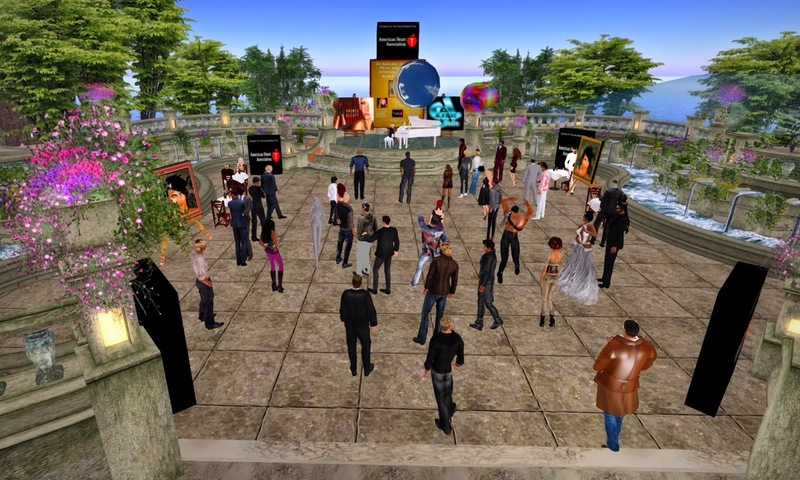 Avacar's memory lives on in Second Life through wonderful events like these. I had planned to attend but RL would not cooperate. I admired and miss Avacar very much. I am not surprised that it was such a success for everyone loved and respected him. I truly feel bad that I could bot attend.